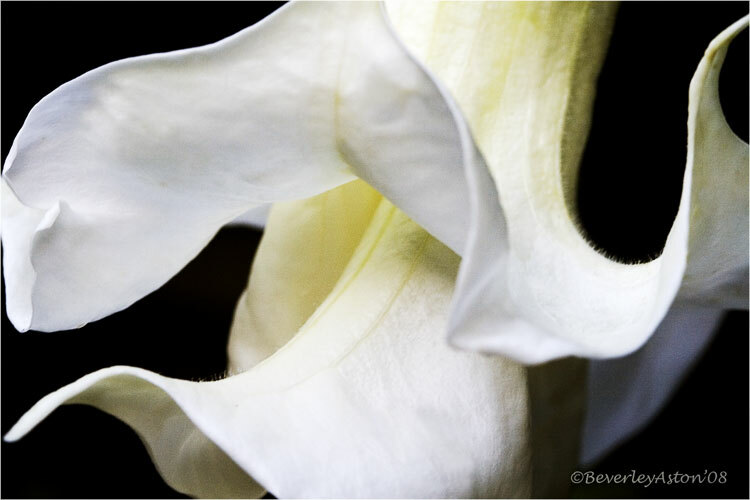 This entry was posted in Uncategorized and tagged snow, white flower2. Bookmark the permalink. 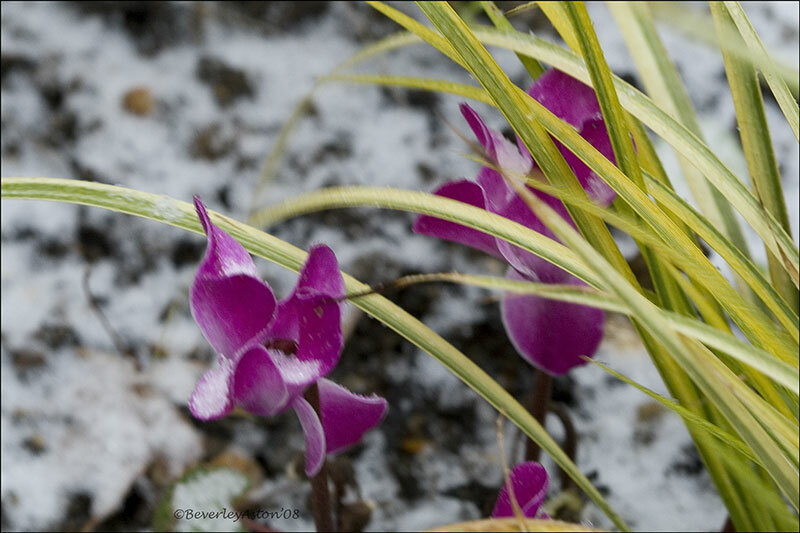 Beautiful photos Bev! 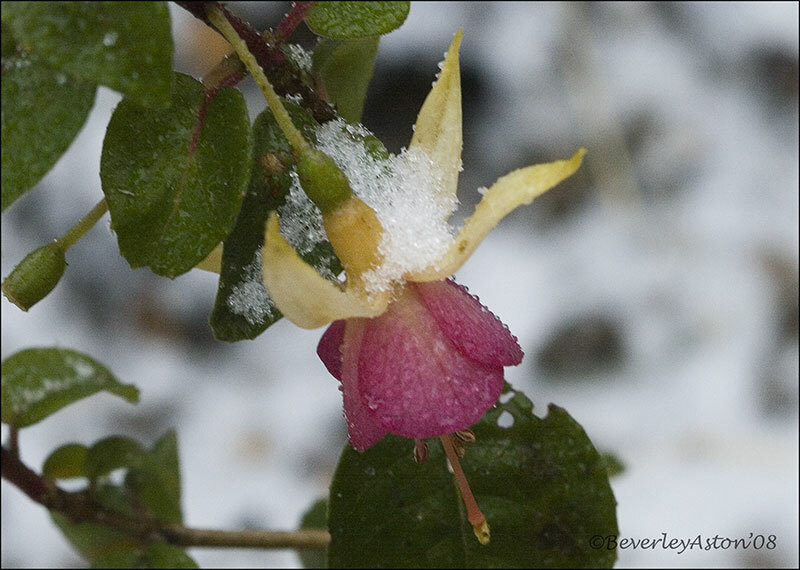 We are also having snow and bitter cold…brrrrrr…..
What a gorgeous flower! I love the close up! Hope all is well with you! We are a bunch of sickies here…the viruses just won’t let up so we are kind of glad for the cold to kill some of the germs! 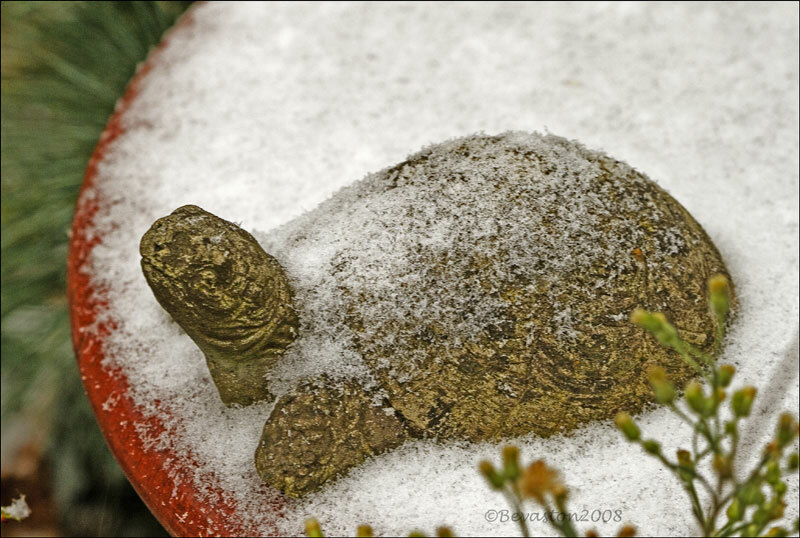 I hope we have snow this year – the beautiful, large soft flake kind. I think your photos look great! My favorite is the middle one. Looking forward to seeing more. Been such a long time since I’ve talk to you and I thought this was a great way to catch up… YOU’VE BEEN TAGGED!! Come to my blog and read the details. I know you have some gorgeous photos to show, and I can’t wait to see what you post. I hope you are doing well and would love to hear from you!